Overprint Coating is clear and won't affect the appearance of the artwork. If you require further printing on your end, please select the overprint coating. It's applied to allow the usage of thermal printers, to overprint names, numbers, photos etc on the cards later on. Numbering: Dot matrix printed - printable on light colour background; Thermal printed - only printable on white areas. Umax Print your unique printing specialist, prints custom plastic cards with multiple finishing options. We will try our best to meet your demand, also we offer a full range of personalization options that will take the hassle out of getting your PVC Membership cards, PVC Gift cards, loyalty cards, VIP cards. Overprint varnishes are coatings applied to an already printed plastic card, which is clear and suitable for further printing on your end. At umaxprint, we offer overprint coating on the plastic cards online all over Australia, helping you to create your desired imprint or design on the required surface. Magnetic stripe technology allows data to be stored on a conventional plastic card by magnetically charging tiny bits within a magnetic stripe on one side of the card. Often used on premium print media, like membership cards, loyalty cards and gift cards etc. 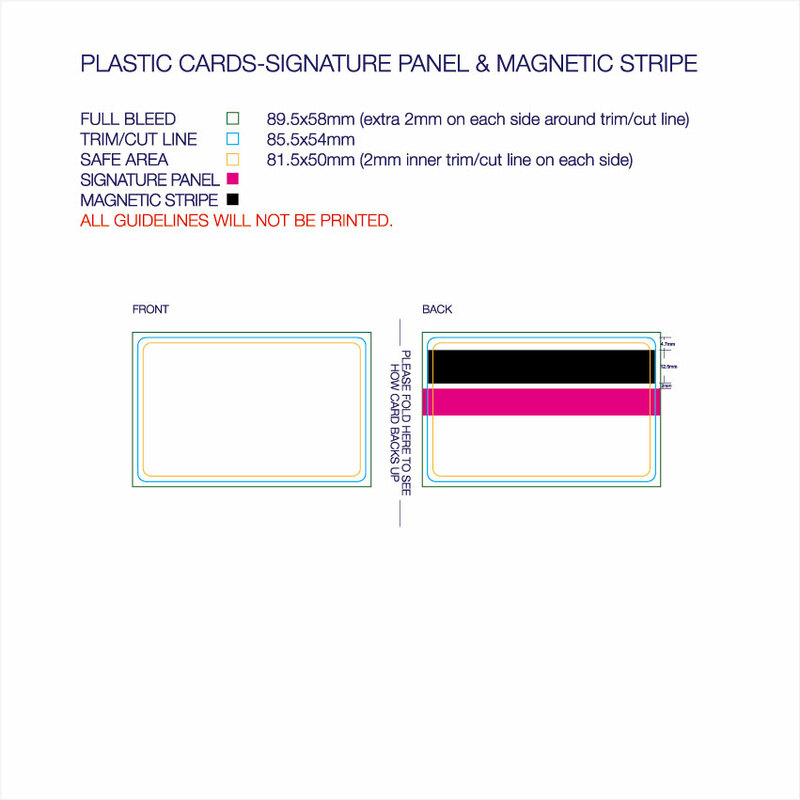 At umaxprint, we offer print magnetic stripe (Hi-Co and Lo-Co) on the plastic cards online all over Australia, helping you to create your desired imprint or design on the required surface. A signature panel or writable field adds another safety feature to the card and allows personalization by the owner of the card. Often used on premium print media, like membership cards, loyalty cards and gift cards etc. 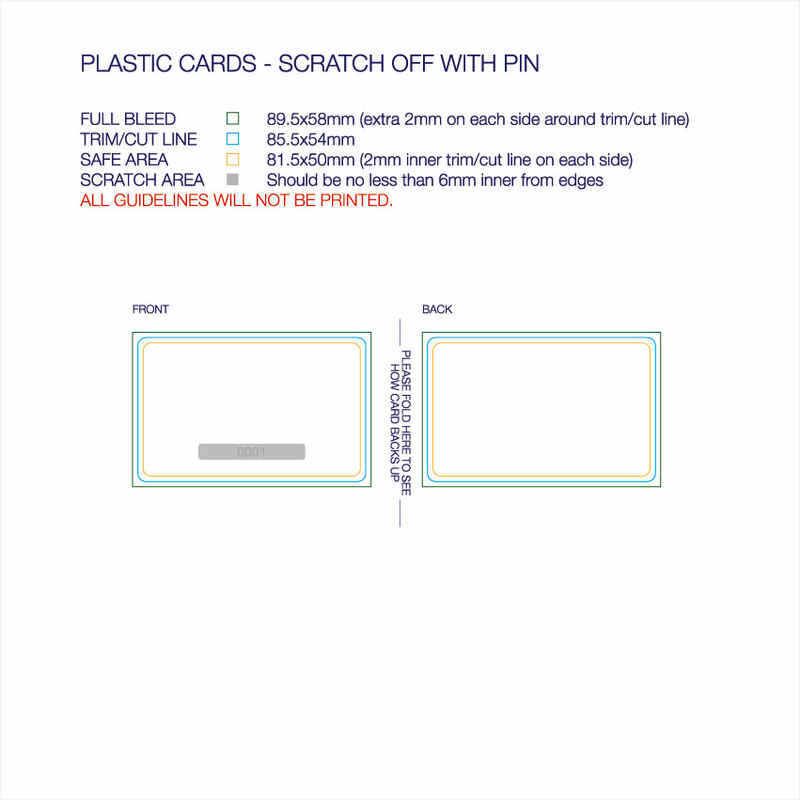 At umaxprint, we offer print signature panel on the plastic cards online all over Australia, helping you to create your desired imprint or design on the required surface. Barcoding is the most common form of automatic identification used in automatic data-capture technologies. Often used on premium print media, like membership cards, loyalty cards and gift cards etc. 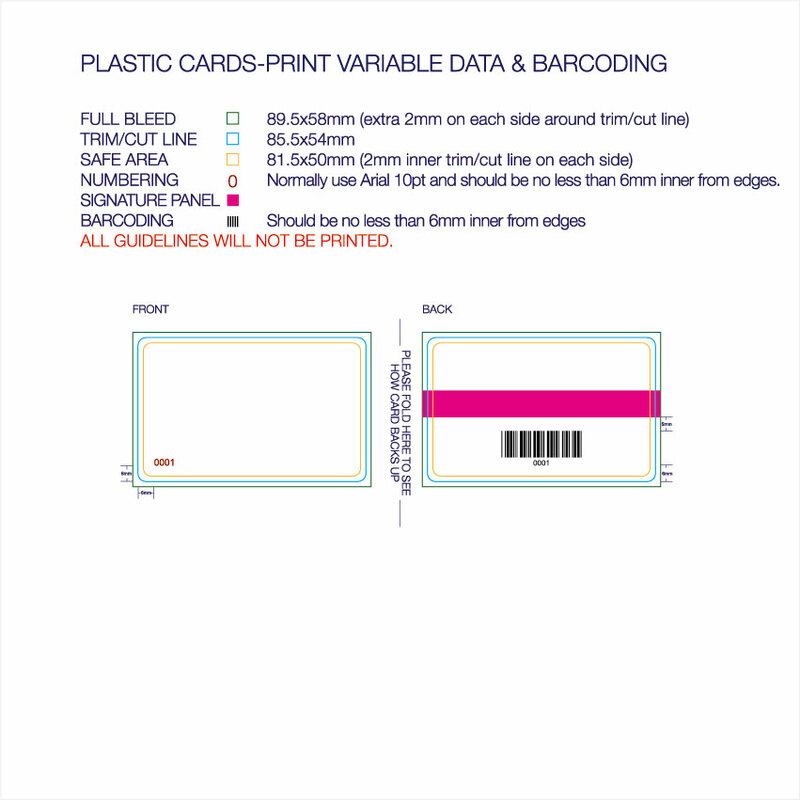 At umaxprint, we offer print barcoding (code 39, code 128, upc(a), ean 8 and ean 13) on the plastic cards online all over Australia, helping you to create your desired imprint or design on the required surface. Variable Data Printing is a method of printing that uses software to change the output of a digital printing press to personalize each printed piece with unique information (code, name, special characters and so on) from a spreadsheet or database. Often used on premium print media, like membership cards, loyalty cards and gift cards etc. 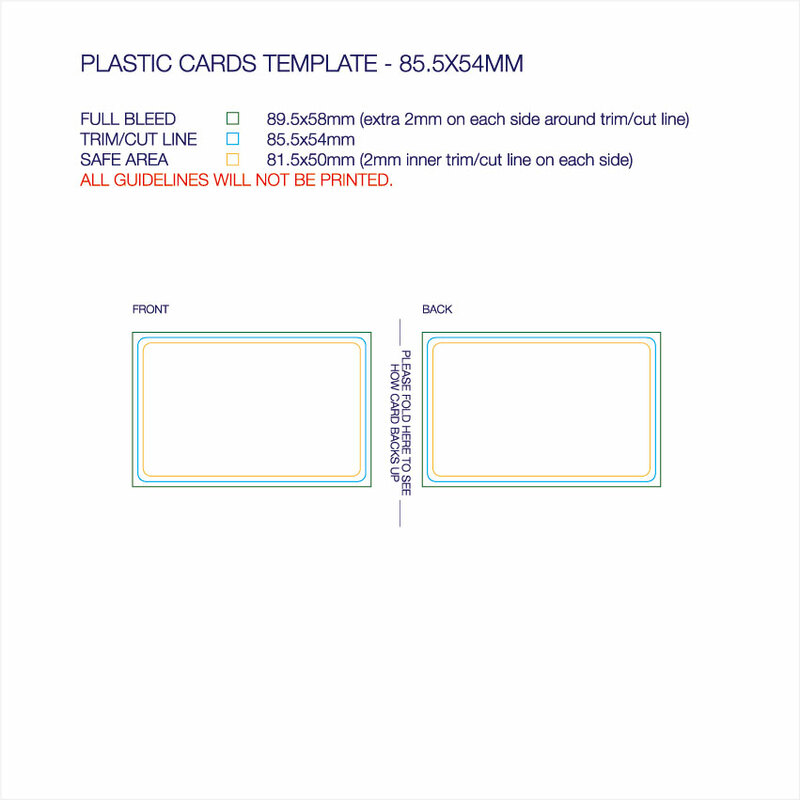 At umaxprint, we offer print variable data on the plastic cards online all over Australia, helping you to create your desired imprint or design on the required surface. Embossed numbers are block-style and raised for quick and legible reading. Often used on premium print media, like membership cards, loyalty cards and gift cards etc., which improves the general perception of the card, developing a feeling of high quality and worth. At umaxprint, we offer print embossed numbering (Gold Tipped or Silver Tipped with 13.5pt or 18pt font size) on the plastic cards online all over Australia, helping you to create your desired imprint or design on the required surface. Scratch-off fields on plastic cards are covered with a thin layer of silver and can hide letters, codes, PINs or other numbers. Scratch-off foil can easily be scrubbed away with a coin or similar. Often used on premium print media, like membership cards, loyalty cards and gift cards etc. 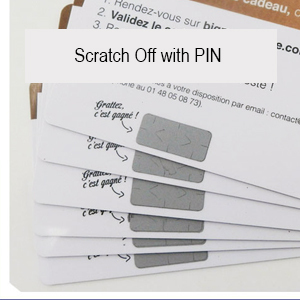 At umaxprint, we offer scratch off with pin service on the plastic cards online all over Australia, helping you to create your desired imprint or design on the required surface. Foil stamping, in the process known as hot foil stamping, foil stamping machines uses heat to transfer metallic foil to a solid surface. If you want to add a touch of luxury to your designs, you’re going to want to know a bit about foiling. Often used on premium print media, like invitations, business cards, postcards, stickers, swing tags, presentation folders, envelopes and letterhead, this is a process whereby metallic foil is applied to the surface of the paper. The foil stamp is a permanent process. 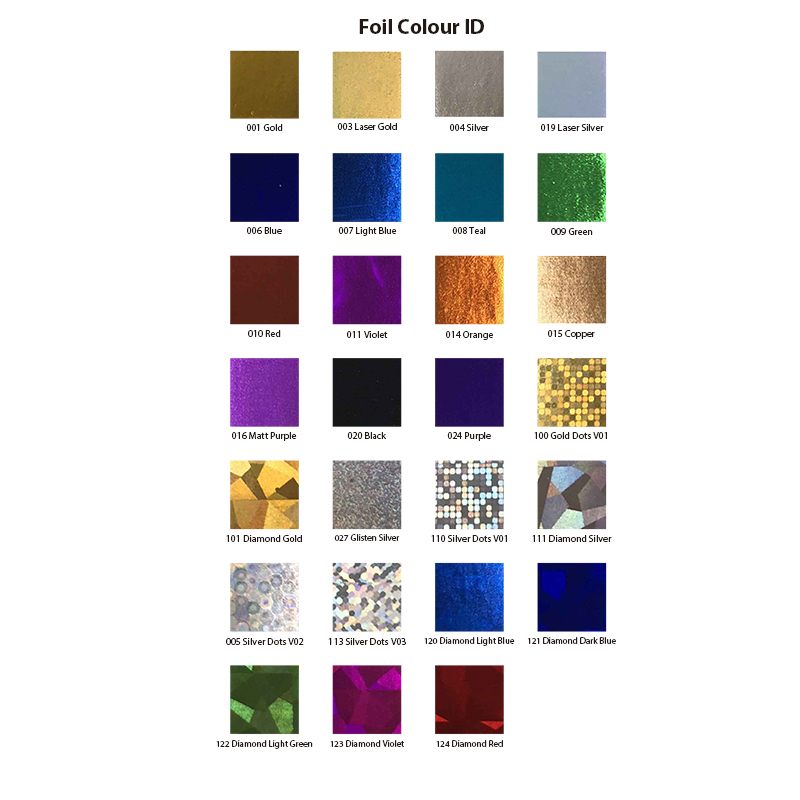 At umaxprint, we offer hot foil stamping online all over Australia, providing with various colours of foil which will benefit for greater brand perception of your products, to create your desired imprint or design on the required surface. Slot punch is a cutting process that uses a machine to cut a rectangle cross-section in solid materials, which can attach to a lanyard or strap easily. Often used on premium print media, like employee ID cards and plastic tags. 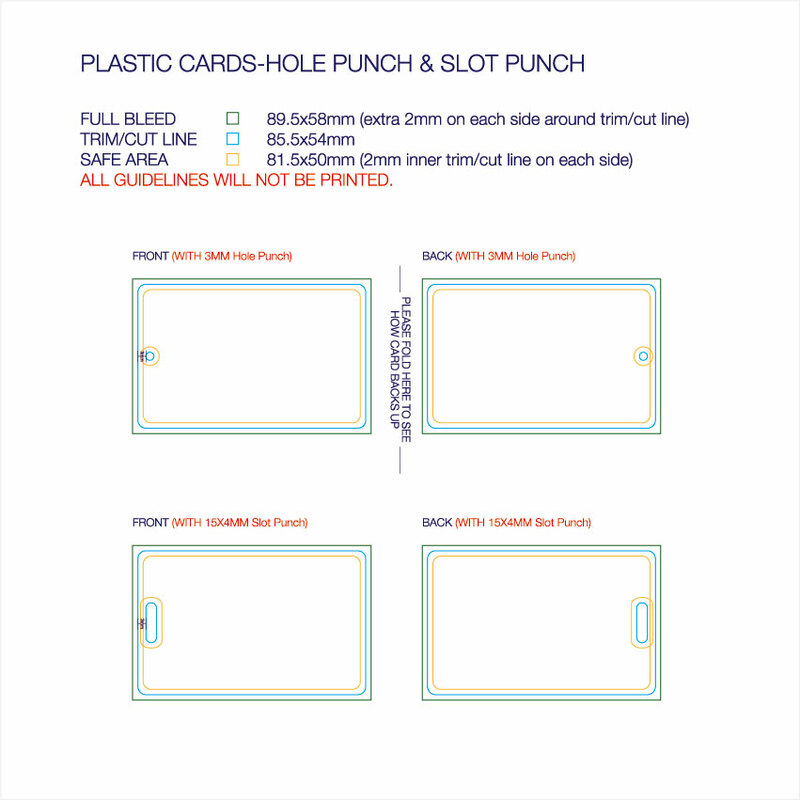 At umaxprint, we offer slot punch (size: 15x4mm) online all over Australia, helping you to create your desired imprint or design on the required surface.